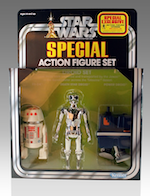 Star Wars fans should be very pleased with the news we have heard over the last couple of weeks, which included J.J. Abrams directing Episode VII and Hasbro announcing the new Black Series 6" figures!! 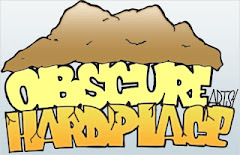 News like this makes me proud to be one of those fans that remains a big kid. Well to top off the amazing news, we received a package from Gentle Giant and it contained a great Star Wars surprise, General Veers Mini Bust. "My lord, I've reached the main power generators. The shield will be down in moments. You may start your landing." 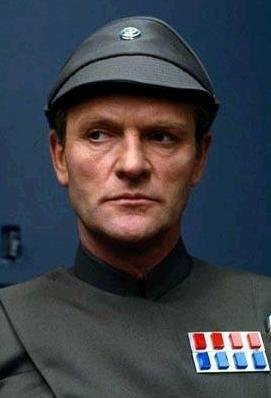 The chilling words that spelled the doom of the Rebel Base on Hoth were uttered by none other than General Maximilian Veers, fanatical Imperial Officer and brilliant tactician. A career soldier with skill unmatched at piloting the Empire's feared AT-AT Walkers, Veers rose quickly through the ranks to become one of the youngest, and most dangerous, Major Generals serving Lord Vader. His Victory on Hoth only served to establish his legend. 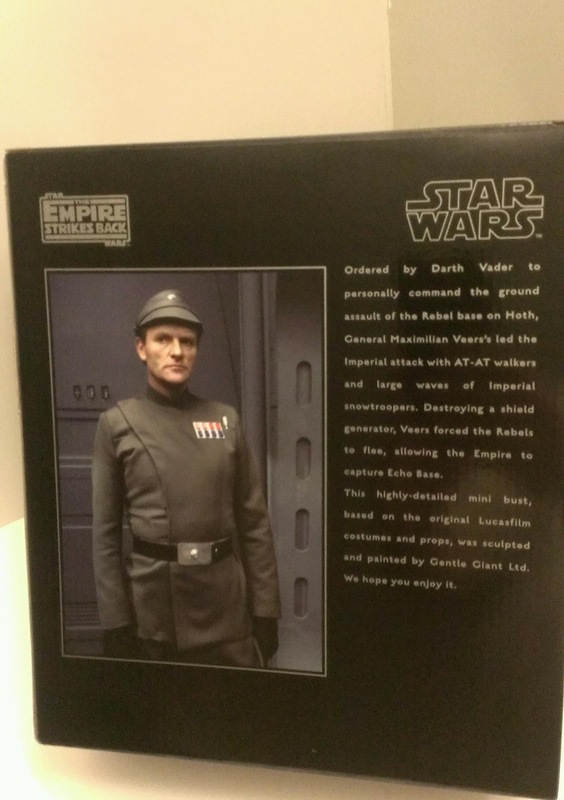 The General Veers mini bust comes in the traditional Gentle Giant black box packaging. 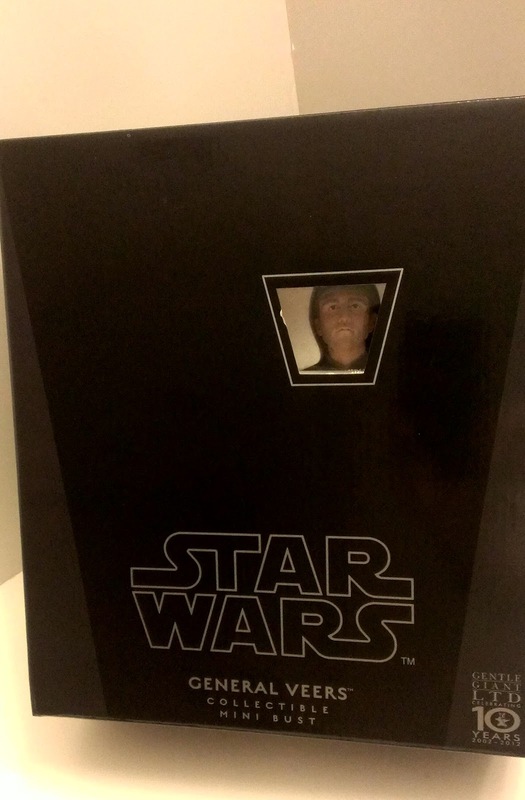 The box features a great picture of the bust plus a actual picture from the film, Empire Strikes Back along with a description of General Veers. 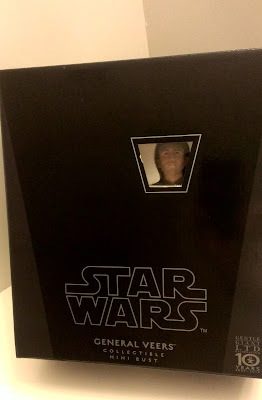 The mini bust is 1/6 scale and is limited to only 1200. General Veers is displayed in his Imperial Officer uniform. Empire Strikes Back is my favorite film from the original trilogy of Star Wars, especially the scenes of famous battles on Hoth that included the AT-AT and AT-ST vehicles. Because General Veers was such a key officer in leading the AT-AT Walkers in Hoth against the Rebels, it would be only fitting to want to add him to the Gentle Giant Star Wars collection. 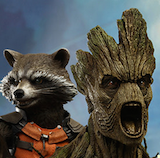 Gentle Giant is the best in the business of creating highly detailed mini busts to the characters likeness. 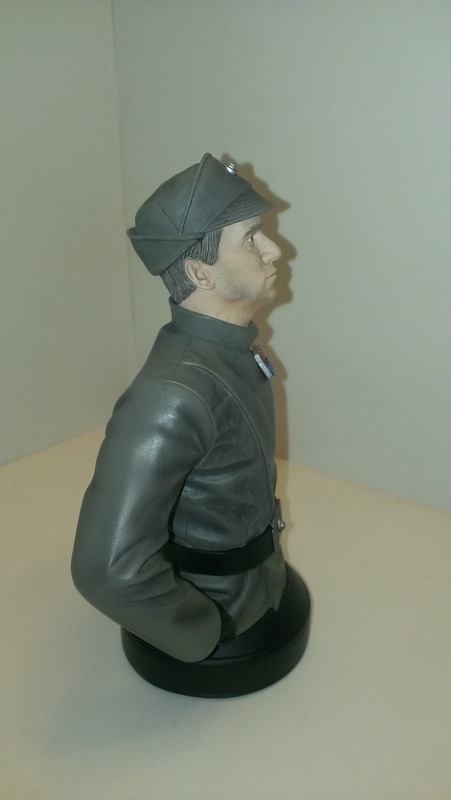 The paint and shadowing in Veers officer uniform is what caught my eye immediately. What we have always found amazing in the work that Gentle Giant puts into their mini busts are the details in the likeness of the characters head sculpts. 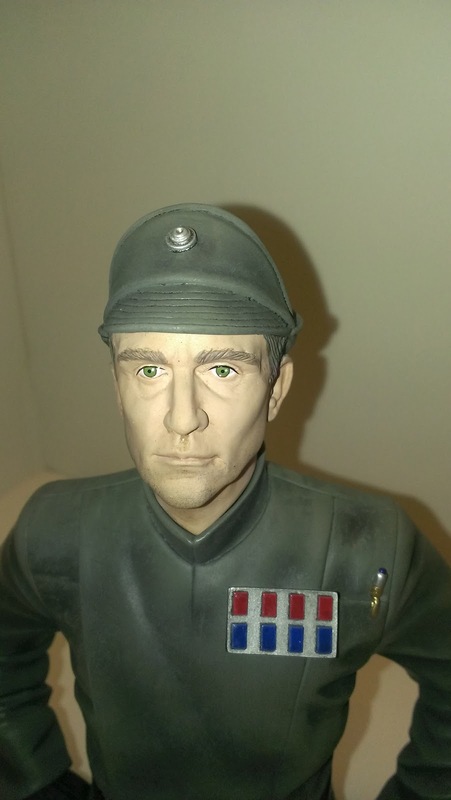 Just as General Veers appeared in Empire Strikes Back with facial hair, Gentle Giant made the effort to add facial hair to the bust as well, which creates more reality to this amazing bust. General Veers is in the perfect stance and ready to receive his orders from Lord Vader. 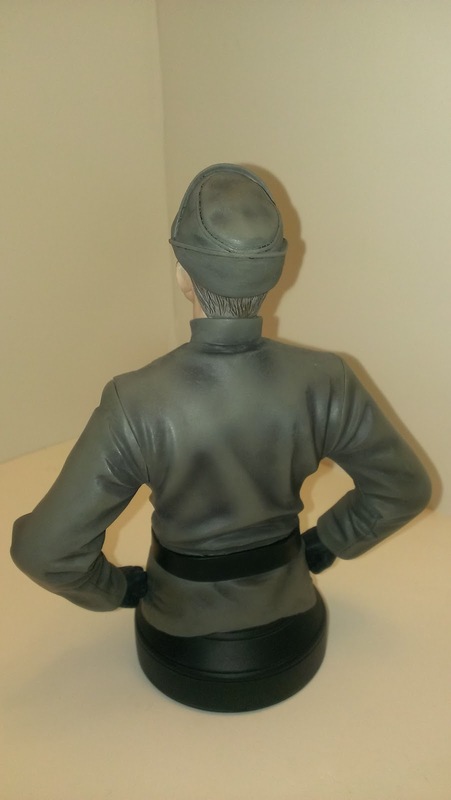 If you are a Star Wars fan as we are and love what Gentle Giant creates, you will not be disappointed in General Veers mini bust in his Imperial Officer uniform. 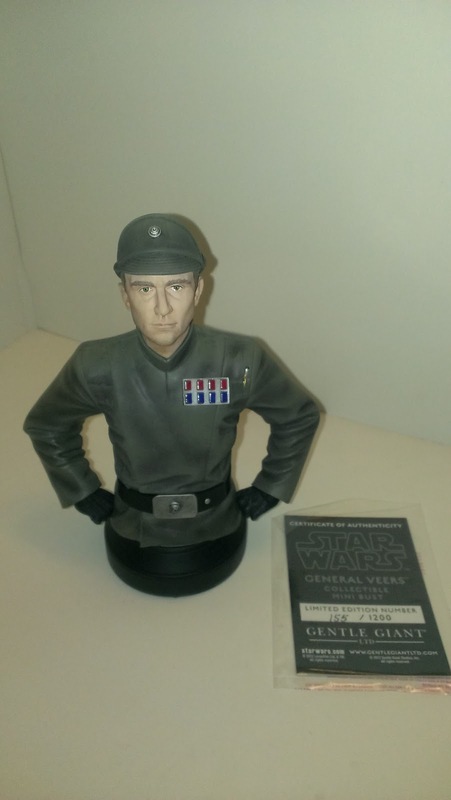 The Gentle Giant Star Wars General Veers mini bust is limited to only 1200 pieces and is still available to order and ready to ship. 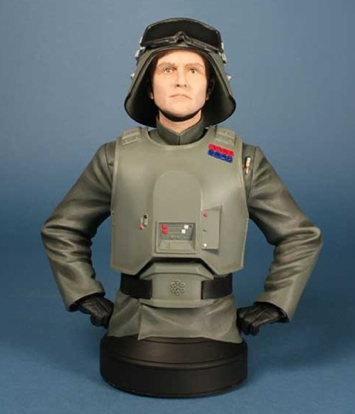 Premier Guild Members were also able to order a special deluxe edition of General Veers, which included his AT-AT piloting armor and an interchangeable head. 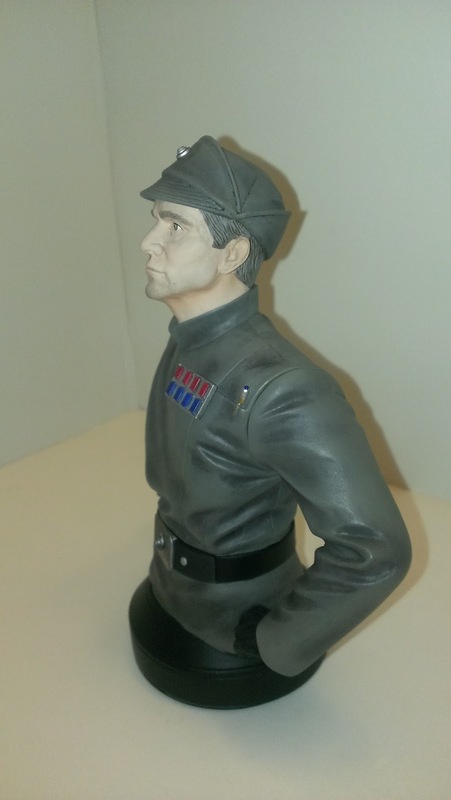 This bust is sold out and was limited to only 430 pieces. Deluxe pieces as this are a great reason to join the PGM program to pick up very limited exclusives.